If you expected class distinctions would vanish in Hong Kong after re-integrating with the Mainland, reality has been profoundly disappointing. For many, the only significant change is the undemocratic governance mandated by Beijing. Last fall, thousands of HK students protested for the right to hold legitimate elections. 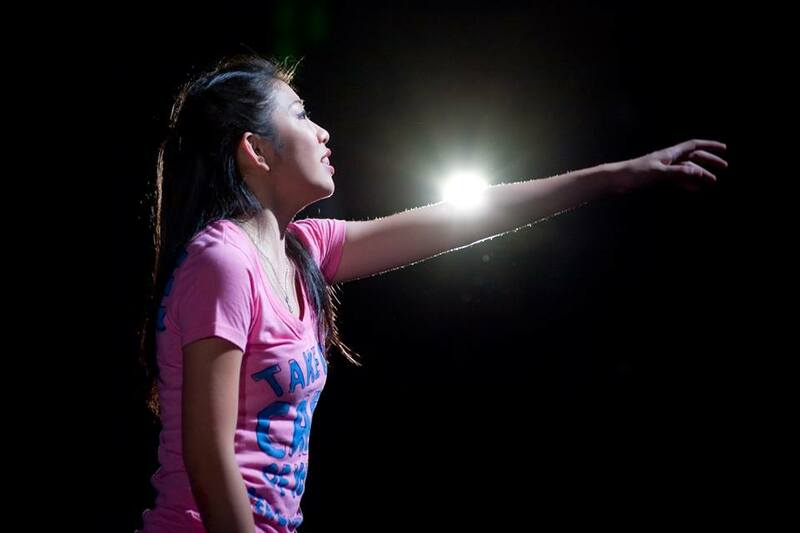 Simultaneously, a group of disadvantaged HK high school students discovered potential they never knew they had when they were selected to stage a professional musical theater production. Six of their fellow students were also recruited to document their behind-the-scenes drama. 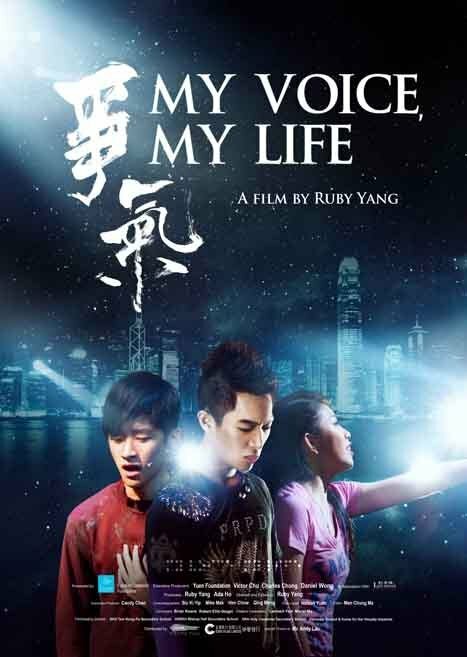 None of them were activists, but their efforts to assert control over lives and futures takes on unintended symbolic implications in Oscar-winner Ruby Yang’s My Voice, My Life (trailer here), which opens this Friday in New York. In Hong Kong, there is a rigid hierarchy among secondary schools. Underperforming students at the last chance “Band 3” schools are often looked down upon by their peers and their elders, but their employment prospects are still better than those facing graduates of the Ebenezer School for the Visually Impaired. Of course, the latter students recruited for the awkwardly named L plus H Creations Foundation’s production of The Awakening (featuring a conspicuously Les Mis-ish sounding finale) are by far the most reliable during the early days of rehearsal. There will be a pretty steep learning curve for the other kids, both musically and personally. Frankly, it was not always clear whether the production would really come together. In Coby Wang, they had a lead with all kinds of natural talent, but her acute lack of confidence prevents her from realizing her diva potential. More problematic are the troublemakers who undermine discipline and unity with their antics. Yet, as the rehearsals progress, the hardest cases start to realize their fellow students are relying on them to get it together. Yang (who was last nominated for the short David-and-Goliath doc, The Warriors of Qiugang) and editor Man Chung Ma are extraordinarily dexterous juggling the various students’ and their backstories. Viewers really get a fully developed sense of at least eight or nine of the cast-members, while also meeting an assortment of parents, teachers, and theater professionals, which is quite an impressive feat of screen-time management in a ninety-one minute film. None of these kids are bad per se. Some have just been living down to low expectations. Fortunately, several are extremely charismatic, while nobody in their right mind could root against the earnest Ebenezer students. Clearly, Andy Lau agreed. The HK superstar and former bad kid saw something of himself in the Awakening cast-members, so he hit the Hong Kong publicity circuit on the film’s behalf, making it an unexpected box-office success. Of course, their story does not end here, but at least Voice gives us reason to suspect there is much more to come from its subjects (especially since they are now so well known to Lau). Frankly, they sort of cry out for the Seven Up treatment. Regardless, they deserve a chance to pursue a higher education and real career opportunities. Likewise, they ought to be able to vote for the politicians of their choice. At least Yang’s documentary should help with the former. Recommended for idealistic musical theater fans, My Voice, My Life opens this Friday (8/28) in New York, at the Cinema Village.